Friday is a slow day in the news business, so it appears to have become an attention-seeking tradition in the prestige media to post extremely stupid anti-white articles on that day, such as the one involving that “mysterious” murder of the black gay politician in Mississippi from four Fridays ago. In 2005, offending rates for blacks were more than 7 times higher than the rates for whites. 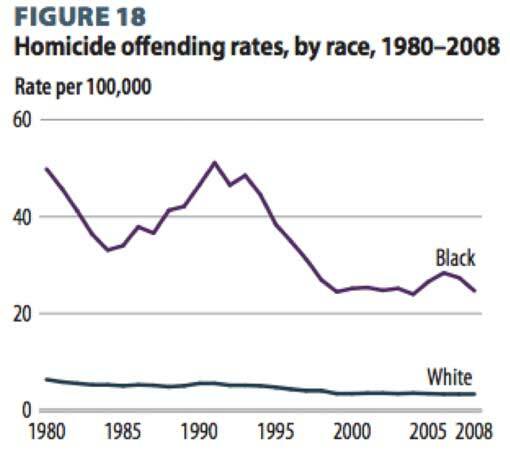 Initially, the Obama Administration dealt with the difficulty that blacks were committing murder so much more often than whites by not updating the Homicide Trends website. For years, BJS” Web page was stuck on 2005. But that didn”t stop troublesome Internet commenters from quoting the 2005 statistic. Recently, however, the Administration has come up with a much better solution. No, the White House didn”t actually figure out how to stop blacks from committing such an outsized fraction of all murders. Obviously, gun control isn”t going to do the trick. 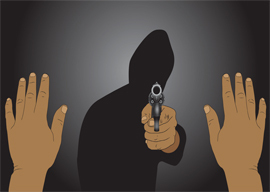 Many homicides are a byproduct of the illegal drug trade. And blacks are responsible for 65.6 percent of drug-related homicides according to the BJS. And, as you may have noticed, the drug business seems to thrive despite stringent drug control. Federal agents are constantly smashing down doors and seizing drugs. Unlike guns, which last for decades, most of the narcotics in the country get consumed every few weeks or so. And yet, a new supply of illegal drugs always seems to show up. Why did this useful federal website vanish? Maybe it’s the Sequester. What better way to balance the budget than to fight the High Cost of Computing by shoving unwelcome Web pages down the memory hole?